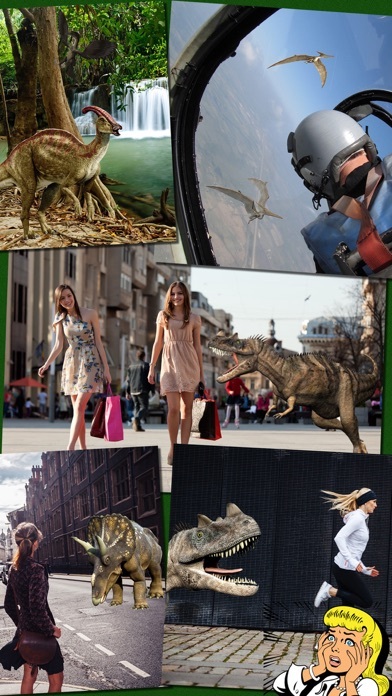 *** Dinosaurs on your photo!! 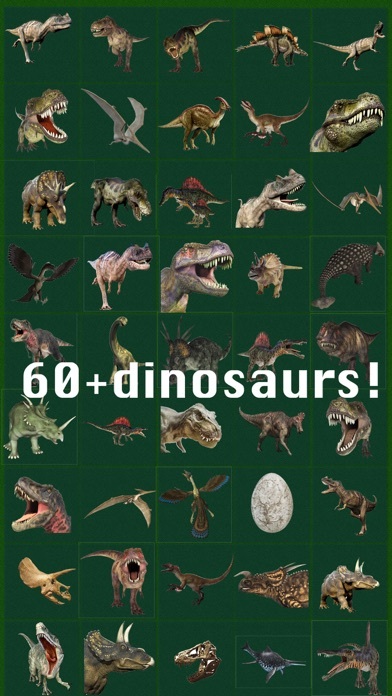 *** Enjoy more than 60 dinosaurs! 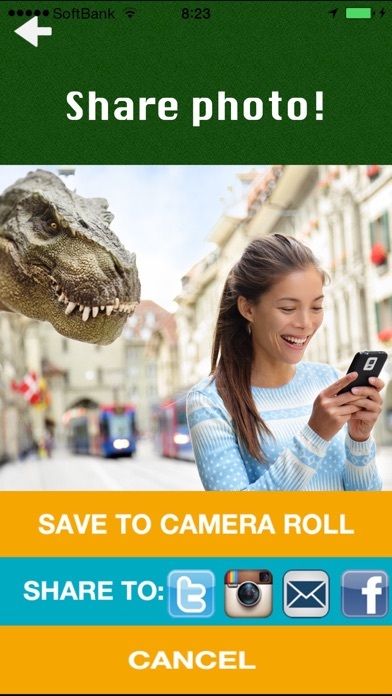 Just a few taps, you can display various realistic dinosaurs on your photo. 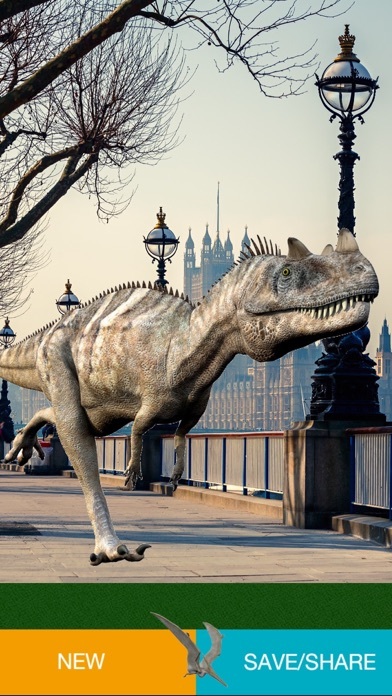 This app includes many dinosaur species such as Tyrannosaurus, Pteranodon, Stegosaurus, Parasaurolophus, Ceratosaurus, Einiosaurus, Camarasaurus, Spinosaurus, Utahraptor, Corythosaurus, Archaeopteryx, Ankylosaurus, Styracosaurus, Dicraeosaurus etc. Of course, you can share photos on Facebook, Twitter or Instagram. And also you can send photos to your friends by email. How to use: Step1. Capture or import a photo Step2. Choose an dinosaur Step3. 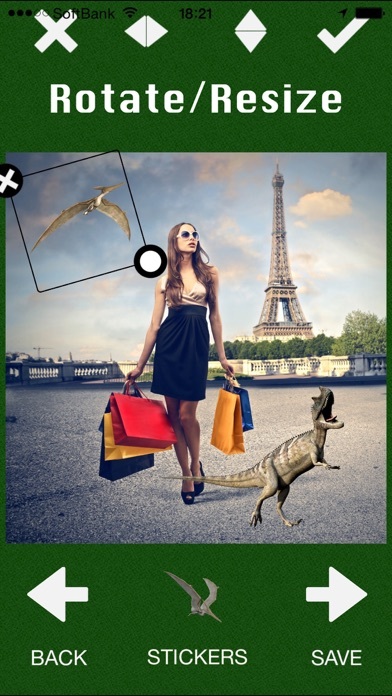 Rotate and resize dinosaurs to fit Step4. Save or share! Features: -> More than 60 Professionally designed dinosaurs -> Rotate -> Resize -> More than 60 dinosaurs -> Use existing photo or take a new shot -> Share your photos -> Save to photo library HAVE A FUN!! Although Jurassic world editor wasn't the best quality, I wish this app had the things that it had: shadows, lighting options, and the ability to edit how the dinos look. They look so silly and photoshopped! But I do like that they have a lot. Another thing: the second page of dinos requires your password and some patience to get to. Why? That's not necessary and really annoying. I do like that you can rotate and resize them, but this app needs more options to be worthy of a better rating in my opinion. Not too bad though.